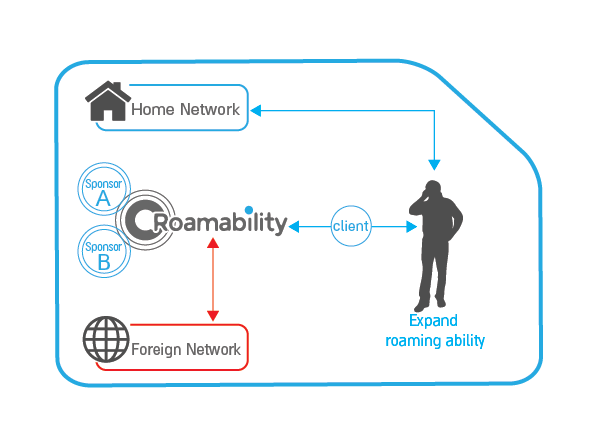 Roamability´s Dynamic Multi IMSI (DMI) solution is a real-time controlled solution for international mobile roaming services. The solution features important Technological Advantages that make Roamability an outstanding value for operators and their subscribers. Existing SIM cards from most manufacturers (G&D / Gemalto / Oberthure / etc.) can easily use Roamability´s DMI solution - without the need to replace working SIM cards. Roamability act as a "smart bridge” between the foreign network and the Mobile Operators´ core network, using IMSI and GTs allocated from its Sponsors. Roamability provides data local breakout, through its Sponsors, to speed data and reduce infrastructure costs. For more information about the technology that makes Roamability´s solution so attractive, Contact Us.